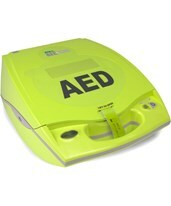 When sudden cardiac arrest (SCA) strikes, the victim is mere moments from irreversible damage or death. For these victims, salvation most often comes in the form of proper CPR and prompt defibrillation. When seconds can mean the difference between life and death, the availability of superior equipment can be literally lifesaving. 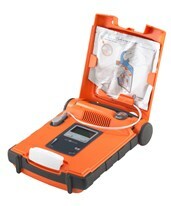 Tiger Medical Supplies offers a full line of the highest quality AEDs and manual defibrillators to suit the needs, capabilities, and budget of every layman, emergency responder, and medical professional. See below for a comprehensive description of the different types of devices. 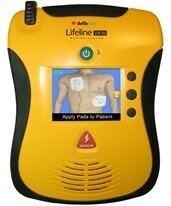 Advanced Life Support (ALS) Units are a Type of Defibrillator. These Units are used by Healthcare Professionals in Hospitals and Ambulances to Provide Emergency Care to Patients of Sudden Cardiac Arrest. The ALS allows Professionals to Monitor the Patient and Administer a Shock if necessary. 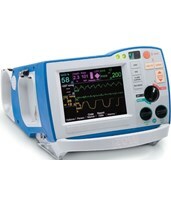 Most ALS Units offer Advisory or AED Functions which Perform Waveform Analysis and Provide Shock Recommendations. These Units can be used with Either Paddles or Electrodes, though Defibrillation Electrodes are more common due to their Safer Nature and Uniform Shock Delivery. 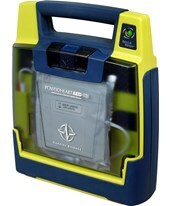 Defibrillation pioneers Zoll, Cardiac Science, and HeartSine produce durable, portable, and reliable automated external defibrillators (AEDs) and manual defibrillators for every user, regardless of skill level. HeartSine’s samaritan® PAD and Zoll’s AED Plus® and AED Pro® are top-selling AEDs in many parts of the world, due to their simplicity for those with no emergency training; untrained individuals are most commonly the first on scene of an incident. All three provide clear, step-by-step graphic and audible prompts – including a metronome for CPR rate – for the timely performance of quality CPR and defibrillation when necessary, supporting unskilled users in lifesaving maneuvers. 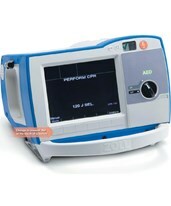 The Zoll AEDs also feature Real CPR Help®, which utilizes sensors in the electrodes to critique compression efforts and encourage effective attempts. 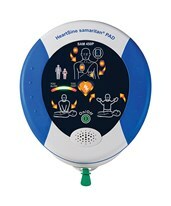 The HeartSine samaritan® PAD is one of the most popular portable defibrillators on the market, due to its lightweight, portable size, clear audible resuscitation prompts, high quality defibrillation, and budget-friendly price. It also carries the highest water and dust ingress in the industry and has been drop-tested for durability. 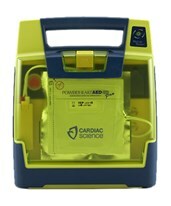 Cardiac Science's Powerheart AED G3 devices are portable, customizable defibrillators for use by both skilled and unskilled rescuers. They perform daily, weekly, and monthly self-checks to ensure that they are Rescue Ready and include automatic, semi-automatic, and automatic/manual models for laymen and emergency responders alike. Many models are AHA 2005 compliant. Zoll’s best-selling AED Plus®, the world’s only Full-Rescue AED, supports inexperienced rescuers with its myriad features, including full CPR assistance, intelligent pediatric mode, and a full set of all accessories needed for a rescue. The AED Pro®, like the AED Plus®, supports untrained rescuers in their lifesaving efforts, with several additional features and vital signs monitoring capabilities that convert it to a full manual defibrillator for rescuers skilled in BLS and ALS. Its highly impact-resistant design, advanced storage and transfer capacity, and lightweight portability make it the preferred choice for military and field use. The samaritan® PAD Trainer, PowerHeart AED G3 Trainer, and AED Plus® Trainer2 look and act exactly like their live counterparts but do not deliver actual shocks, allowing users to familiarize themselves with the workings of the actual devices in case the need arises. Zoll’s M Series and R Series hospital defibrillators are smart, simple devices that may be configured with several parameters to meet any facility’s needs as well as dual automated/manual defibrillation capabilities. Both series feature Real CPR Help® and See-Thru CPR for optimal resuscitation assistance. 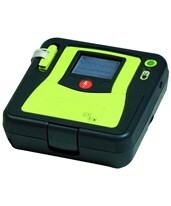 M Series defibrillators are the smallest, lightest, and brightest in their class and are available in configurations to meet the needs of users skilled in BLS, ALS, and ACLS with features such as advisory mode and dual manual/automated capabilities. Each features a built-in multifunction thermal printer and is customizable with parameters including pulse oximetry, non-invasive blood pressure, pacing, 12-lead ECG, and capnography. 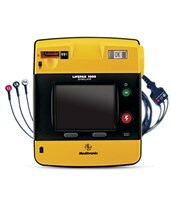 The R Series, a newer, improved version of the M Series, features neonatal, pediatric, and adult capabilities, the option of adding OneStep™ pacing in addition to the M Series’ parameters, an optional wireless expansion pack, and the distinction of being the world’s first Code-Ready® defibrillator. 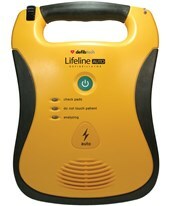 It may be ordered to suit both ALS and BLS responders, with some models featuring the ability to switch from an AED to a full manual defibrillator with the push of a button. 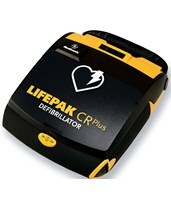 The purchase of an AED or defibrillator can be confusing and complicated, but we Tiger Medical Supplies understand this challenge and are here to ease the burden. Our comprehensible, detailed product descriptions and capable, friendly sales staff will assist you in selecting the right model and configuration you need, at the price you want, without any hassle.